fix loading of PSD files with layer groups. 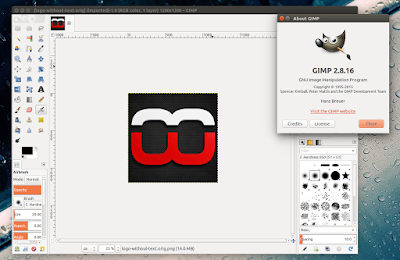 The GIMP 2.8.16 release announcement also mentions that the devs' "immediate future plans are to release first public version in the unstable 2.9.x series that will feature fully functional GEGL port, 16/32bit per channel processing, basic OpenEXR support, vastly improved color management implementation, new tools, on-canvas preview for many filters, and more", this being the first milestone towards GIMP 2.10. If you want to try the latest unstable GIMP, you can already do so by using a PPA. It's important to mention that besides GIMP, this PPA also includes various GIMP plugins, such as G'MIC, and GIMP PLugin Registry.